You might recognize the work of some of these talented folks: Vladislav Ivanov from Golem Studio, Beada Hendrix of Sasijuhls Things, Diana Ptaszynski of Suburban Girl Studio, and Tracee Dock of Classic Elements. The "catch" that went along with winning these beads was that I had to agree to make a piece of jewelry using one of the beads within a month of receipt. Don't tell anybody, but with this kind of inspiration, that wasn't really much of a catch! What was harder was trying to decide which piece to work with first. I ended up choosing the largest focal piece by Tracee and I set it in the center of a micro macrame bracelet with cord and beads in shades of blue and mauve. 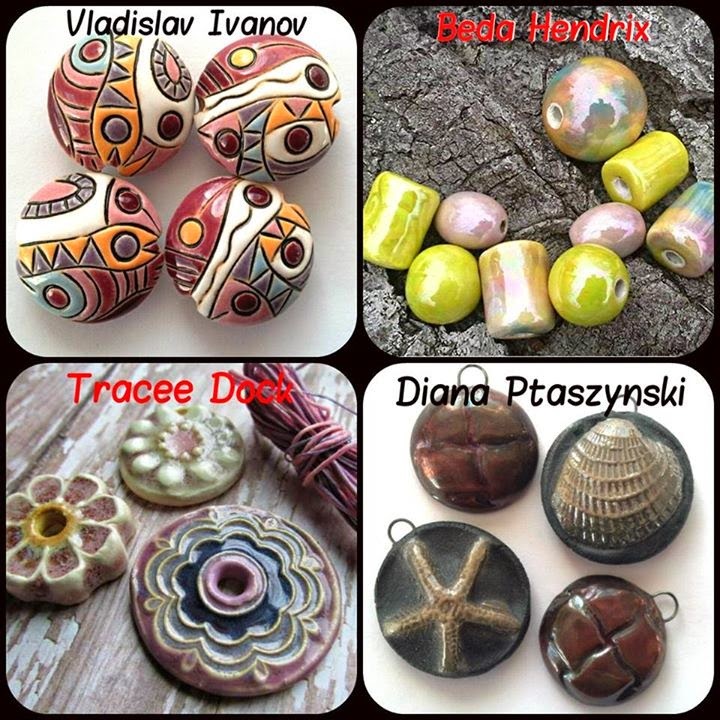 It's a real pleasure for me to work with artisan beads, handmade by people who take pride in their work and produce unique and beautiful beads. I may or may not have a shopping problem, but that aside, I can tell you that I recognize the work of these folks by their own individual signature styles. And to me, that's a mark of a true artist. It's obvious they are each doing what they feel passionate about and creating pieces that mean something to them. I admire that greatly. I hope you will take a couple of minutes to visit the pages and shops of these folks and support them. You lucky girl!! What a great bunch a beads to win and your bracelet is AWESOME!! Can't wait to see what else you make with these! Amazing what you did with that pendant. WOW WOW WOW...way to do it justice!! thank you for sharing I am glad you liked it! ogni volta superi te stessa! What a great design! And congrats on winning those gorgeous beads.